Bring sustained help and hope to the poor, one child at a time. 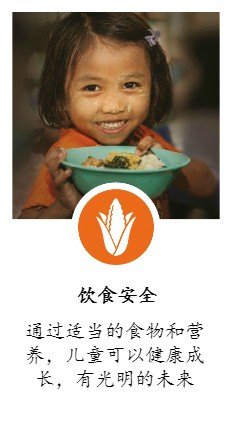 For S$45 a month, you'll help that child and their community to stand tall, free from poverty. Hi, my name is Ailyn. I am a 9-year-old girl from Philippines. My birthday is on 11 Jan 2010. World Vision started its operations in Antique province in 1984 through a church partner. Over the years, the scope of work expanded and transited into longer term development programmes. With an established presence in the area, World Vision has been able to bring people together and empower local leaders and partners to make a difference for children in their community. The Antique province has the highest rate of malnutrition in the entire Western Visayas region. 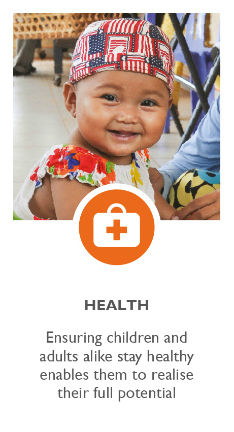 With malnutrition present in the target community, children face an increased risk of wasting, stunted growth, respiratory illnesses and impaired brain development. 55% of the population in Antique ADP is classified as poor. In several vulnerable families, men and boys work as sakadas, or sugarcane farmers, which is perilous work and does not generate much income. In order to ensure their families can afford basic necessities, men and boys work in other provinces and young women work as maids. Low income levels have far reaching implications on children. It can lead to them dropping out of school to work in order to support their family. As parents are focused on finding food for the family, other responsibilities are left behind. The lack of parental guidance often leads to children engaging in delinquent behaviour. Child Sponsorship addresses the root causes of poverty with a holistic change that is lasting. 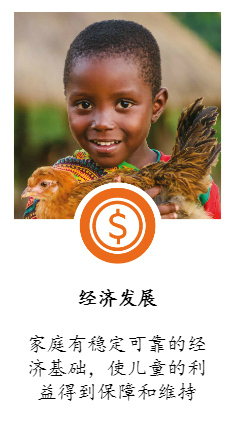 For $45 a month, it gives your sponsored children and the community a real future. You can correspond with your sponsored child and visit him/her. Become Part of a Child's Life Story! Build a personal connection by writing to your sponsored child. Begin by responding to the introductory letter written by your child. Be their window to the world beyond! Join us for opportunities to visit your sponsored child and family, and witness the impact of your contribution! 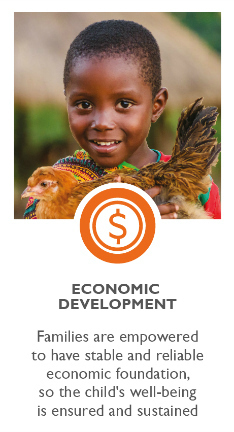 World Vision helps your sponsored child through the Area Development Programme (ADP) in his or her community. Through ADPs, we identify where we work and who we work with, and then carry out development activities specific to an ADP’s needs. With the collective support of sponsors, we usually work in an ADP for 15 years to bring transformation. This is done in 3 phases to bring change at a pace that is sustainable. Parents of sponsored children receive useful skills training and income-generating opportunities to help them provide and care for their family in the long term. The lives of other members of the community are also enriched as knowledge is transferred and resources are shared. Eventually, communities take ownership of their projects and continue the work that was started. In this way, lives are transformed through sustainable, long-term development projects! With your help, the community has grown healthier, safer and more self-sustaining! We are now ready to transition out and begin the transformation process with another community in need. Child Sponsorship works very simply! By contributing $45 every month, you provide your sponsored child, his/her family and community with basic needs, love and care through your sponsorship support. In turn, you will receive annual progress updates and can even correspond with your child. A child’s life is transformed through your sponsorship! The sponsorship money you send is pooled with that of others who sponsor children in the same community that your child is in. 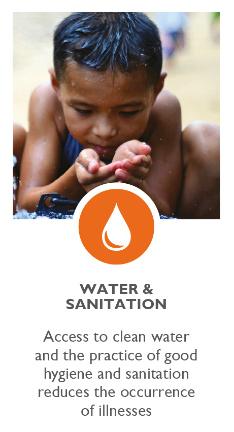 Collectively, your support enables World Vision to provide benefits such as education, healthcare, nutritious food and clean water for the children through an Area Development Programme (ADP). Parents of these children will also receive useful skills training and income-generating opportunities to help them attain self-sustainability in the long term. 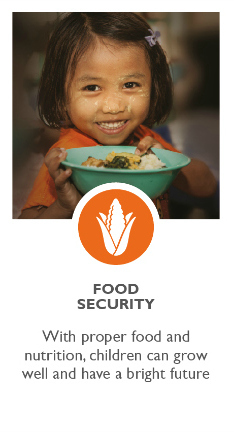 An ADP is World Vision’s signature approach to fighting poverty and transforming lives. 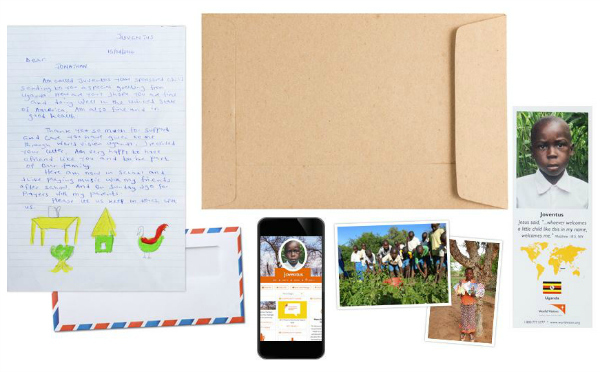 Through ADPs, World Vision identifies where we work and who we work with, and then carry out development activities specific to an ADP’s needs. 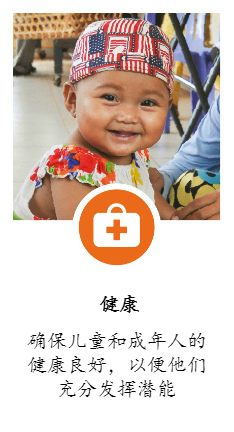 To sponsor a child today, click here. We work with community representatives to identify the areas of greatest need. The community then chooses children from those needy areas for sponsorship. This list of needy children is verified by our staff and the children become representatives for the Child Sponsorship programme. World Vision workers fully explain the concept of Child Sponsorship and inform families that all members of the community get to share in the benefit. Participation in all World Vision programs is voluntary, and sponsored children and their families choose to be a part of the programme. We always respect the rights of families to make decisions about this. Ideally, Child Sponsorship is a long-term commitment lasting for the duration of our work in a particular community, which typically lasts for 10-15 years. But how long child sponsorship lasts will be different for each sponsor. Some sponsors join us at the beginning of our work in their sponsored child’s community and others join us towards the end. Our work in a community is completed. Your sponsored child finished school or began to earn an income. Your sponsored child’s family moved away from the community in which World Vision is working. Whatever the reason, we’ll notify you when your sponsorship comes to an end. At that time, we can discuss how you can continue your sponsorship with another child. Why is community development important in Child Sponsorship? When a community is stable and productive, it can provide for its children’s long-term well-being; the most effective way to improve children’s well-being is to strengthen their community’s ability to provide for it. The well-being of a child is dependent on their families and community. In order to thrive, children need to grow up in an environment that can provide the essentials for today, together with hope and opportunity for the future. Through the years, many communities have leapt from brokenness to hope with the help of World Vision's Child Sponsorship programme. The goal is for the community to achieve self-sustainability. World Vision plans and works alongside local community members to find solutions that will change the future for their children, and their children’s children. 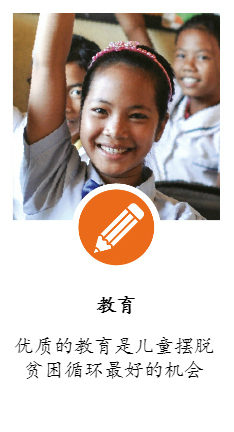 How does World Vision decide which community to work with? We work with community representatives to identify areas that have the greatest need. Afterwards, the decision to commence a sponsorship programme is made with the communities. An assessment is carried out by local World Vision staff alongside community representatives, local authorities and other non-government organisations in the area. If you prefer to have us walk you through the process of Child Sponsorship, fill in your details below and we’ll get back to you at your indicated time slot. Please ensure that a local contact number is provided.